Of course it is not a coincidence that in my earlier post ‘tie a shirt around your waist’ I have also used pictures with checked shirts as this pattern pops up everywhere this fall and winter. I am about to leave on a wonderful trip to Canada to meet up with our dear friends but could not resist to share with you this winter must have before I go. This scarf simply is the ultimate solution if you don’t feel like wearing plaid checkered pants, or plaid checkered oversized coats but still want to follow this trend. I just found a very affordable one at Zara for only 29,99$. All you have to do is follow this link. A no brainer if you ask me! I’ll be back within a week but you can always check out my * h e * y o u * b e a u t i f u l * board on Pinterest for more inspiration or click on this link to see a combination of soft plaid patterns the way I would love to wear it myself!! Is this scarf from ZARA? I can’t find it on the website…help! Yes it is. If you click on the word ‘link’ in my blog you will go directly to the scarf on Zara’s website. You better be quick though as I already saw, the same scarf in green tartan print is already sold out. Good luck. Let me know if you bought it!! Just like me! 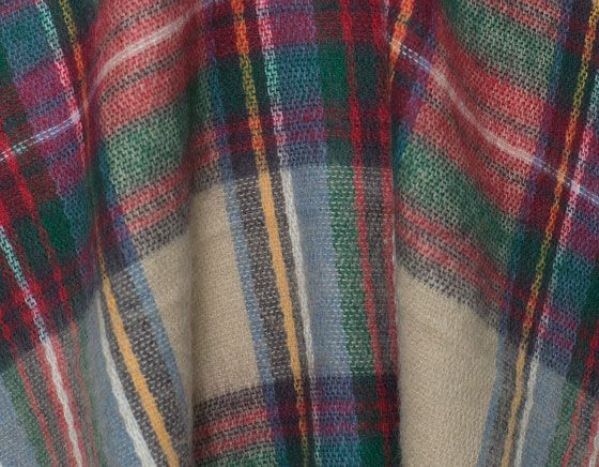 I am also a big big BIG tartan lover : ) Thanks for checking my blog Nicole! Congrats on your great blog as well. I just started following you! !